Croatia is an elegant 7-cabin gulet, which we use for our scheduled gulet cruises in Croatia as well as private expert-led charters. With a beautiful teak deck and mahogany hull, she is sleek and comfortable wiht 4 doubles and 3 twin cabins all of which are generously sized. She is spacious, full of character and is fitted out with all standard mods cons. She even has a jazuzzi on the front deck. She is owned by a delightful Croatian, Kreso, who has spent many years living in Australia and who puts in a huge amount of time and energy making sure his beautiful boat is kept in excellent condition. 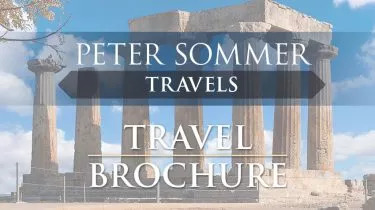 This was our second trip booked with Peter Sommer Travels, and , once again, a trip of a life time! Our guide Dr. Helena Tomas, was brilliant! We lived the history of each place we visited, through her vast knowledge , her passion and her deep love of her country. The Islands of southern Dalmatia felt like a place lost in time. The beautiful limestone structures, the history that has endured centuries, and the quiet pace of the daily life. It all made it very hard to leave! This was a superb holiday, cruising the coast of Dalmatia in a gulet with an expert guide showing us archaeological sites on the islands off the coast, and local guides taking us round Dubrovnik and Split. Perfect number of guests, comfortable accommodation, gourmet meals and opportunity for swimming off the boat, relaxation on board, and an opportunity to learn through our knowledgeable and engaging guides. The best way to see Croatia is by sea, and our PST tour exceeded all expectations with its well thought out itinerary, attention to detail, balance of activity and leisure, relaxed atmosphere and good fun. Much credit is due to all ground staff, guides and gulet crew for a perfect holiday.